Elaine Comparone, harpsichord, performs with Daniel Waitzman, recorders and transverse flute, and Henry Schuman, oboe, at WBAI's Free Music Store on November 11, 1971. Part 2 of this recording features Comparone playing a harpsichord sonata by Domenico Scarlatti and Trio sonata in C major by J.S. Bach, arranged for harpsichord and recorder. The encore is a repeat of the last movement from the Bach sonata. 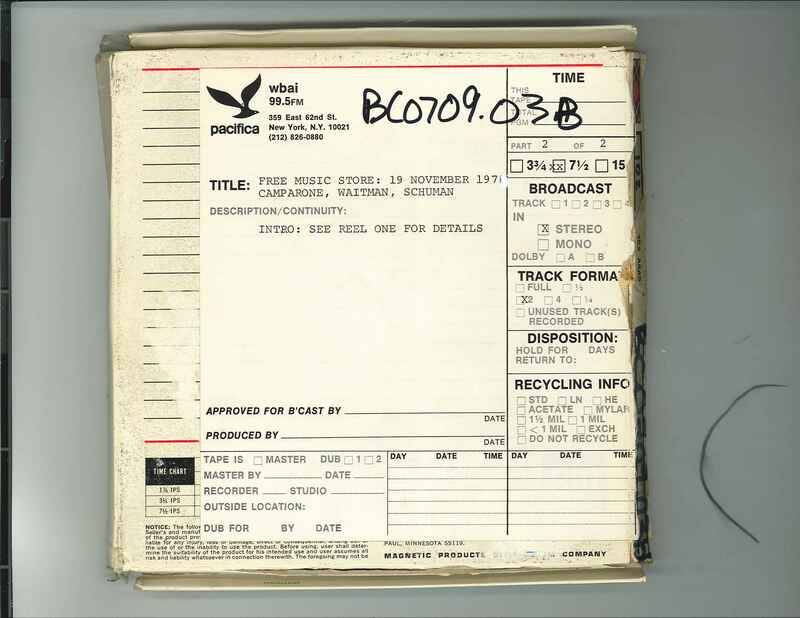 This recording was formerly cataloged as BC0709.03B. Some audio distortion throughout.